Vacation every weekend at Harbor Winds Marblehead Ohio RV Trailer Park and Marina for less than you are paying now for your annual 1-2 week trip to Florida or Mrytle Beach. We have a number of trailers for sale – most for less than the price of a good used car. Or bring your own – we have empty lots. City water and sewer hook ups and 50 amp electric service are provided. We also offer a shower house and propane tank refills. Harbor Winds also features Marblehead Western Lake Erie boat and wave runner dockage including hoist services and a gas dock. We’ll also store your boat for the Winter – we offer winterizing and launch service so all it takes is a phone call to get your boat in the water in the Spring or out in the Fall. Harbor Winds is located at 7511 East Harbor Road, Marblehead – about an hour from Cleveland or Toledo and about 2 hours from Columbus. 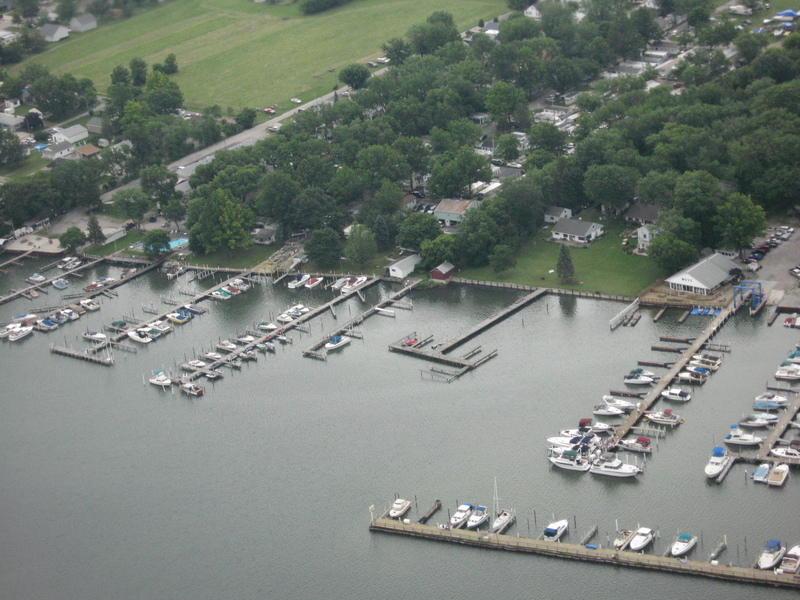 Our marina is located on the east end of East Harbor – about a 15 minute ride to the Lake. Kelley’s Island is about 4 miles away by boat and Put-in-Bay is about 10 miles away.